Earn 219 points to spend on future purchases. The Lightweight Battery Pack is compatible with machines from all major manufacturers including ResMed, DeVilbiss, Respironics, Fisher & Paykel, and more. And it really works providing average run times of 1-2 nights with most machines so you can take your CPAP on vacation, camping, on the road, or in the air! At the heart of the Lightweight Battery Pack is an ultra-small, ultra-light (less than 1.5 pounds), ultra-powerful Lithium Ion battery like those found in many laptop computers. Lithium Ion batteries are small and powerful so you can expect to get hundreds of uses out of your battery pack if it is maintained properly. In addition each pack comes with a convenient Travel Bag and a Battery Recharger. The Lightweight Battery Pack's specially designed AC Charger with Universal Power Supply effectively recharges the battery without overcharging it. To make things even easier a green light on the charger will let you know when the battery is fully recharged. 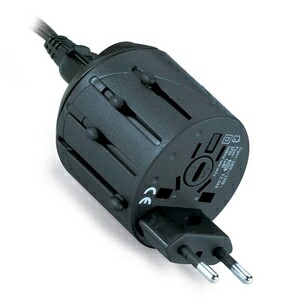 Because the charger has a Universal Power Supply it can be used in most locations worldwide (a plug adapter may be needed for charging outside of North America). Current FAA regulations allow CPAP Machines and Lithium Ion Batteries (like the one in this battery pack) to be carried onboard commercial flights; however it is always important to check with your airline prior to travel to determine exactly what requirements they have for carrying medical equipment on board. The Lightweight Battery Pack is equipped with a DC Power Socket like the cigarette style power outlet found in most vehicles. To power your CPAP with the battery simply connect your machine to the pack using a manufacturer approved DC cord. We offer packages with DC Cords for Philips Respironics, ResMed, Fisher & Paykel, and DeVilbiss machines; but if you already own a DC cord for your machine there is no need to purchase another! 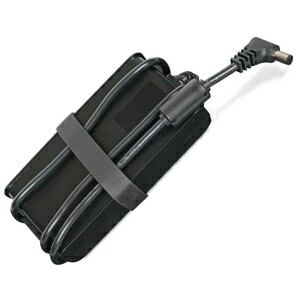 The battery pack will work fine with any manufacturer approved DC Power Cord. Review your CPAP manual if you are unsure about whether your system has DC power capabilities. For best results batteries should be fully depleted and recharged on a regular basis (every 4-6 weeks). Using a heated humidifier and/or heated tubing with the battery pack will significantly reduce run times and may effect overall CPAP functionality. To help extend run times turn the heated humidifiers and heated tubing off when using a CPAP battery pack. Heated humidifiers can be used in passover -- non heated -- mode when using a battery pack. If your CPAP machine is equipped with ECO, Power Saver, or Airplane Mode activate it to extend battery life between recharges. Comfort features -- like C-Flex, A-Flex and EPR -- and leaks can increase power drain. To maximize battery run times reduce leaks and disable comfort features if possible. When you receive your battery pack it may include a small charge. For best performance it should be fully charged prior to first use. 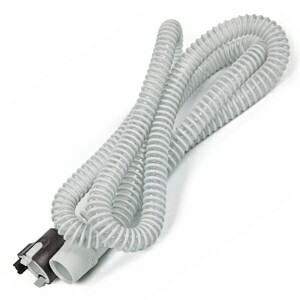 Always use the proper DC cord for your CPAP machine. Consult your CPAP machine manual for specifications. Pictures shown on this page are for reference only. Individual battery and travel case colors and designs may vary depending on current available supply. In the Package Lithium Ion Battery, Travel Case, Power Cord (for Recharging the Battery Pack), and a Respironics DC Power Cord (for Powering Your Machine from the Battery Pack or any 12V DC Socket). Yes, the Lightweight Battery Pack Meets FAA Regulations. This product is approved by the FAA for use on all commercial flights within the US and all international flights that depart or arrive in the US. Click here for TSA / FAA information on traveling with sleep and oxygen therapy. Always contact your airline prior to your flight to confirm any requirements they may have (i.e. a copy of your prescription or a letter of medical necessity) for allowing your device on board. Battery Notes Always use the AC Charger provided to recharge your battery pack. Using a non-approved charger may damage your battery and void the warranty. When recharging two red lights on the power supply indicate the battery is charging; and one red and one green light on the power supply indicates the battery is fully charged. To recharge your battery from a DC power source use the supplied AC Charger with a 150 Watt Power Inverter. DreamStation Machines Compatible with all DreamStation CPAP and BiPAP Machines including the DreamStation, DreamStation Pro, DreamStation Auto, DreamStation BiPAP Pro, DreamStation BiPAP Auto, etc. Average Run Times: 20-24 hours at 6CM, 10-14 hours at 10CM, 8-12 hours at 14CM. PR SystemOne 60 Series Machines Compatible with all 60 Series System One REMstar CPAP and BiPAP Machines including the REMstar SE 220, REMstar Plus 260, REMstar Pro 460, REMstar Auto 560, BiPAP Pro 660, BiPAP Auto 760, etc. Average Run Times: 20-24 hours at 6CM, 10-14 hours at 10CM, 8-12 hours at 14CM. PR SystemOne 50 Series Machines Compatible with all 50 Series System One REMstar CPAP and BiPAP Machines including the REMstar Plus 250, REMstar Pro 250, REMstar Auto 550, BiPAP Pro 650, BiPAP Auto 750, etc. Average Run Times: 20-24 hours at 6CM, 10-14 hours at 10CM, 8-12 hours at 14CM. M-Series Machines Compatible with all M-Series REMstar, M-Series REMstar Plus, M-Series REMstar Pro, M-Series REMstar Auto, M-Series BiPAP Plus, M-Series BiPAP Auto Machines. Average Run Times: 16-20 hours at 6CM, 10-14 hours at 10CM, 8-12 hours at 14CM. Maximizing Battery Life To maximize battery life with a Philips Respironics device ensure that heated humidifiers are only used in passover mode (with the heater level turned off), and that heated tubing is turned off. For greater run times disable comfort features like C-Flex, A-Flex or Bi-Flex. I bought the battery and charged it took it camping and the first time I used it, it only ran 6 hours and then died. I bought this battery because we take trips to a deaf school in cameroon... there is often no electric and i need to use my cpap machine. I felt the price was good, really appreciated the free shipping and the speed in which it was delivered! The battery lasted far longer than advertised. Its portable and affordable. Really pleased with this purchase. I bought this item to use while traveling. Haven't used it yet on a trip, but I charged it and tested it out at home and it powered my CPAP fort three full nights (my pressure setting is seven). I'm very, very pleased. I also like the compact size/weight and the little carrying case. I would like to hear if anyone has had issues getting it through airport security. Just came back from a three night fishing/camping trip. Battery lasted for 21 hours run time on pressure setting of 7 on my Cpap. Very happy with the purchase and very light weight. 4 hours - that's it. I bought this battery for my REMStarPro M series. It is supposed to power that model for 12 hours at the settings I use. It has never powered it for more than 4 hours. The battery and charger have been replaced, but that has not resolved the problem. It says it is lightweight and small, and it is. At first, I thought I did not get everything I paid for, but then realized that yes I did ! Our family likes to go camping but it was difficult with CPAP. My wife bought the battery pack for Christmas and we've already been camping this month. It worked great and hopefully will last for a long time! 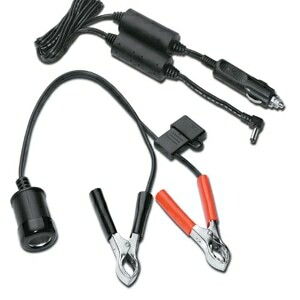 I bought the battery pack and connection cables for my BiPap hoping that I could again go camping at unimproved sites. I tried it last week and found that I got 10+ hours of use (and, of course) a great night's sleep. I'd recommend it to anyone who needs an emergency source or a camping battery that's powerful, lightweight and reliable. The description did say "Using a heated humidifier with your battery pack MAY significantly reduce run times". This is a serious issue. The battery for my c-pap machine works great. I have already used it twice! I slept very well, too! I snore so bad and don't sleep well without my cpap machine, but love to camp out the old fashion way in a tent. And was worried about waking up all the other campers with my snoring, but this battery pack saved the night and worked great. Needed a battery to go glamping - last minute idea! It was easy to see what I needed, it got here in plenty of time. I charged it and tried it with my CPAP one night at home. It worked really well both at home AND on my trip. I had wanted a backup in case we lost power so now I am good to go! made test run last week-end and every thing worked as advertised. Very good product. Ordered a battery pack and CPAP mask in my use it or lose it flex. Spending acct before the years end. Received items as advertised in 2 days. Will do all of my CPAP shopping thru this site. Local DME providers cannot compete. A*++++ on service and reliability. i tested this on my System One cpap without the humidifier and it looks like it will go most of 2 nights. which is good. and the battery is very light and will fit in a backpack. this is just what i needed. I will not be using it extensively for at least another week when I go camping. I have tested it at home for one night and it worked well. Looking at that tiny battery (it only weighs 2 pounds) you would not think that it had a lot of power. I did not use the humidifier. I got 2 full nights 7 to 8 hours each night and at least 4 to 5 hours on the thrid. For me it worked great. Excellent Battery. The size made it perfect for my wife when she travels; but it's got more than enough power to make it through the whole night.